Day 5 is one for the climbers as our peloton tackles the hillier terrain of the Great Ocean Road on its 164km course from Warrnambool to Apollo Bay. Departing Warrnambool from the Melbourne to Warrnambool Classic Statue, the Lilyroo Ride follows the Princes Highway before turning right onto the Great Ocean Road. Our first stops are in Peterborough for a photo and then a nutrition stop just down the road. From Peterborough the terrain becomes increasingly undulating as we make our way past Port Campbell, Loch Ard Gorge and The Twelve Apostles climbing to the top of Lavers Hill. This section is the longest without scheduled stops and arguably the toughest of the whole Lilyroo Ride, especially given the ascent up Lavers Hill. 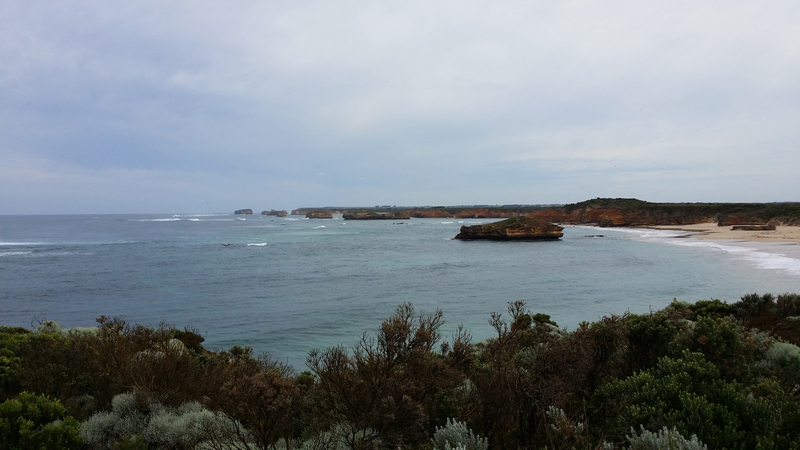 The Great Ocean Road will provide a stunning backdrop for Day 5 of the Lilyroo Ride. Click to see a bigger version. After a longer nutrition stop at the top of Lavers Hill our peloton descends towards the Calder River before tackling the last climb of the day through the Great Otway National Park. After almost 2000m of climbing our riders will be rewarded with a 13km long descent through Marengo and on to Apollo Bay, the finish line for Day 5. All our riders, volunteers and support crew are staying at the Seaview Motel and Apartments in Apollo Bay. We would love to see as many of the local community there as possible. In the evening the Lilyroo Ride team will be holding their community fundraiser at the Great Ocean Hotel located at 29 Great Ocean Road, Apollo Bay.